SAN FRANCISCO — The Asian Art Museum, 200 Larkin St. in San Francisco’s Civic Center, will present “After the War Blues: The Racialization of Japanese Americans” on Saturday, Feb. 6, from 2 to 3:30 p.m. in Samsung Hall. 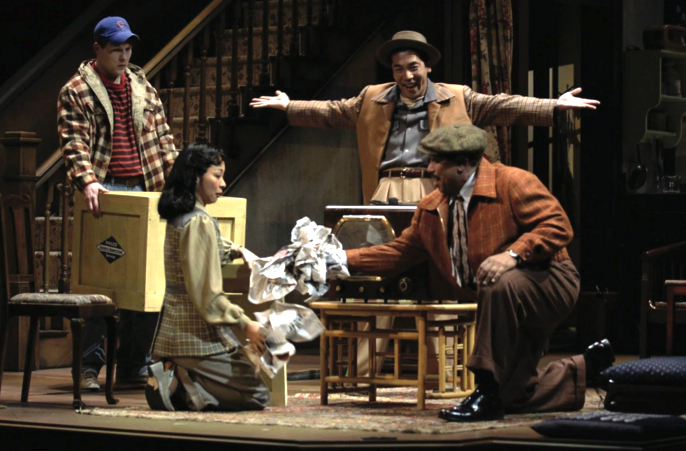 Join influential playwright Philip Kan Gotanda to get the inside scoop on the ideas and inspirations behind his groundbreaking body of work, including his play “After the War Blues,” which explores the lives of a diverse community in San Francisco’s Japantown in the aftermath of World War II. Gotanda, who teaches his craft at UC Berkeley, will appear in conversation with Michael Omi, associate professor of Asian American and Asian diaspora studies at UC Berkeley. To set the stage, local actors and musicians will perform scenes from Gotanda’s plays. An audience Q&A will follow the discussion. For more information on the museum, call (415) 581-3500 or visit www.asianart.org.